Bring the kids along to Space Needle and Pike Place Market. There's much more to do: shop like a local with Chihuly Garden and Glass, take in nature's colorful creations at Bellevue Botanical Garden, admire nature's wide array of creatures at Seattle Aquarium, and examine the collection at The Museum of Flight. To find other places to visit, photos, traveler tips, and more tourist information, use the Seattle road trip planner . Use the Route module to find suitable travel options from your home destination to Seattle. In May, plan for daily highs up to 68°F, and evening lows to 52°F. Cap off your sightseeing on the 27th (Mon) early enough to go by car to Seaside. Seaside is a city in Clatsop County, Oregon, United States. Start off your visit on the 27th (Mon): pause for some photo ops at Astoria Column, look for gifts at Seaside Candyman, and then explore the striking landscape at Haystack Rock. For traveler tips, photos, maps, and other tourist information, go to the Seaside trip itinerary builder app . Traveling by car from Seattle to Seaside takes 4 hours. Alternatively, you can do a combination of flight and bus; or take a bus. While traveling from Seattle, expect little chillier days and about the same nights in Seaside, ranging from highs of 62°F to lows of 48°F. 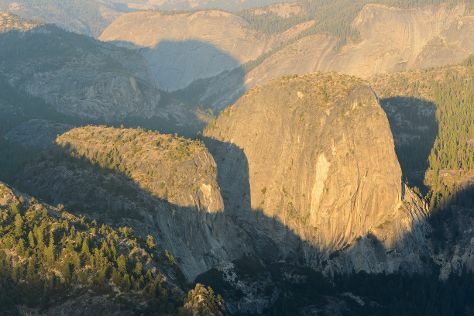 Wrap up your sightseeing on the 27th (Mon) early enough to travel to Yosemite National Park. On the 28th (Tue), identify plant and animal life at Nature Center at Happy Isles and then explore the striking landscape at Glacier Point. To see traveler tips, ratings, where to stay, and other tourist information, go to the Yosemite National Park journey planner. Getting from Seaside to Yosemite National Park by combination of bus and flight takes about 10.5 hours. Other options: take a bus; or do a combination of bus and train. Traveling from Seaside in May, Yosemite National Park is slightly colder at night with lows of 34°F. Finish up your sightseeing early on the 28th (Tue) so you can travel back home.